Happy Friday, friends! I didn't mean to go MIA this week but a super busy work week coupled with a serious lack of sleep made for one very exhausted mama. Hopefully there will be more naps in my future this weekend since it looks like this babe is staying put a little longer! On to the important stuff... my favorites from the week. I'm linking up with Christina and the Five on Friday crew as usual! I ran out of my favorite pink polish (Essie 'Off the Shoulder') and was forced to try a new one, but Essie 'Watermelon' did not disappoint! I think its great for Valentine's Day and since I'm a pink polish person, I'll probably wear it well into the summer. Anyone have any other favorite colors I should try in case I use this up too quickly? 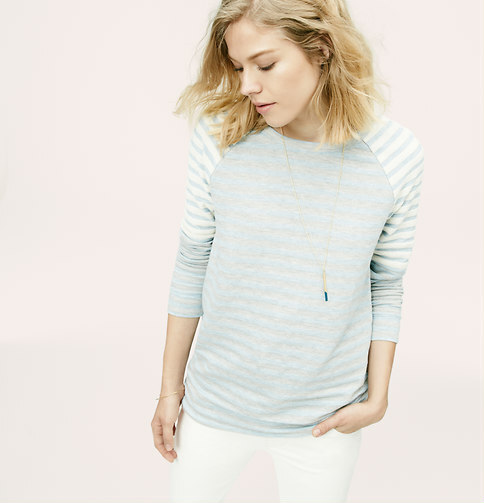 Can we please talk about how perfect this top is for Spring? Especially with the white pants! I admit I have a serious problem with buying striped clothing but this may just need to graduate from my online shopping cart to my closet. I had a couple questions this week about the crib skirt and curtains that I made for Rowan's nursery. I planned on doing a tutorial for the crib skirt but honestly had no idea how it was going to come out so I ditched that plan. 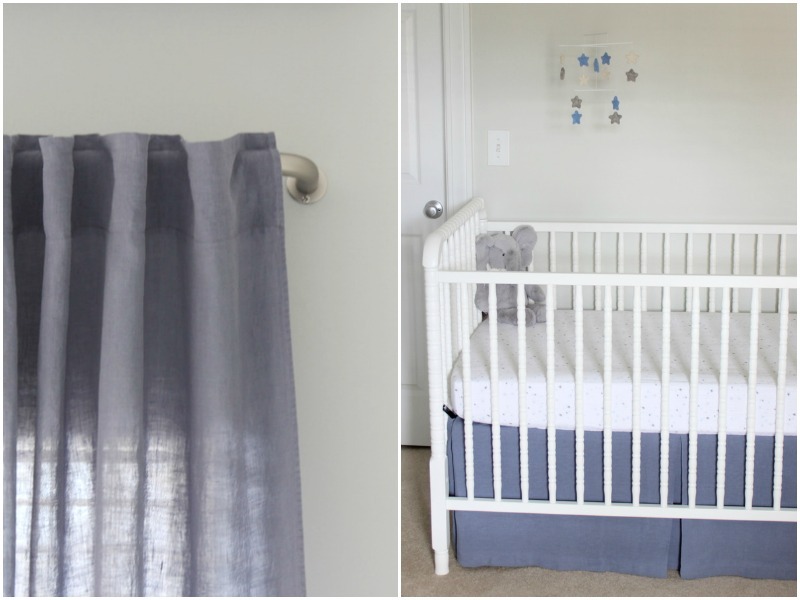 I used this adjustable crib skirt tutorial as a guide and just added a pleat to each side of the crib skirt. It would have been much easier with some kind of cotton fabric rather than the linen that I used! As for the curtains, those are super easy and you can check out my back tab curtain tutorial to make those! While I'm over here not so patiently waiting for Rowan to arrive, I've been trying to narrow down my options for birth announcements! 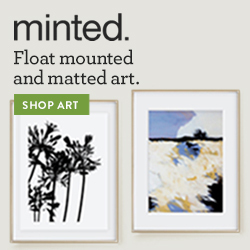 I love Minted so naturally I'll be ordering from them again! Does anyone have a favorite? 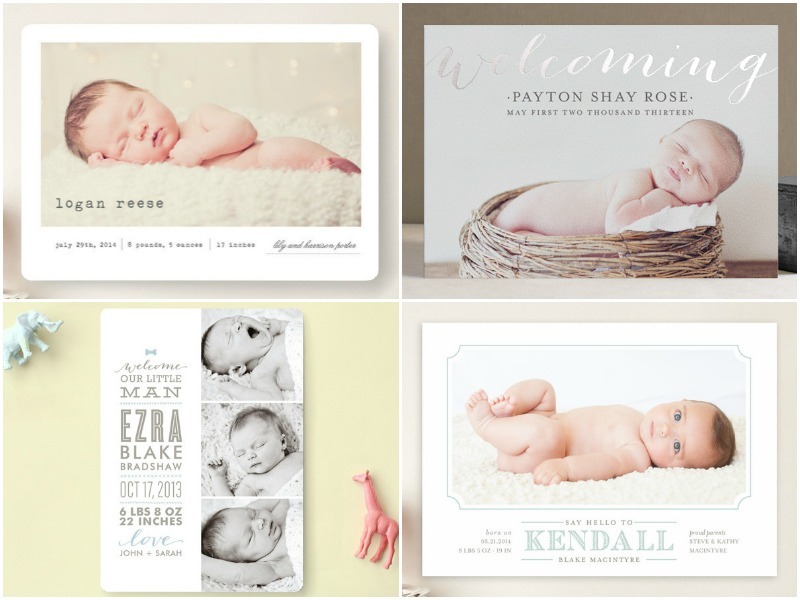 I'm leaning toward the first one, but I guess it will depend on which newborn photo(s) we choose! That's it from me, I hope you all have a great weekend! Since Target is closing in Canada (sob! ), they have everything on clearance and Essie nail polishes were 30% off yesterday. So naturally I bought 4. I have an Essie addiction. I got Licorice, After School Blazer, Da Bush, and Sunday Funday. I think you would like Sunday Funday! You had me at pink polish AND donuts! Love it! Those donuts look fantastic as does the new nail polish color! I Love all of the birth announcements you've picked!! They are so so cute! The first and second birth announcements are my favorite! And what a fun nail color! I can never resist donuts and I'm not even pregnant! What is better than fluffy dough slathered in chocolate and covered in sprinkles? Not much, in my opinion. I really love the 2nd birth announcement! Hope you are feeling well and happy Friday! Love that polish! That's for sharing the DIY totorial for the bed skirt. 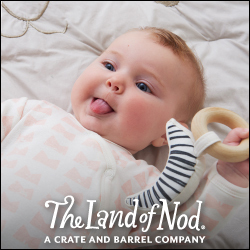 Love the nursery photos! Those donuts, YUM! Also I am definitely in agreement with you on that first Minted announcement, it is the sweetest! Love that nail polish color!! I have almost every shade of pink in nail polishes. Love all your Minted announcements! Love the simplicity of the first announcement, also. Great nail color! There's some essie color with the word carnival in it that is the perfect pink/red/orange combo also. You really inspire me to want to sew! But then I just call my mom and put it off a bit longer ha. Keep us posted on Rowan watch! Watermelon is one of my favorites! I also love Mod Square (super bright pink), Muchi Muchi (soft pink, wearing it now for VDay), and Big Spender which is a purpley pink. That nail polish is the perfect Spring color! I'll be picking me up a bottle ASAP. I like all the birth announcements, but I'm also partial to the first one. Have a great weekend! I realllllllly like that polish color! Love me some bright pink nails! And if I hadn't given up gluten recently, I would be all over those clearance donuts. Yum. I've been on a donut craving kick lately too. I indulged in a donut hole, using my daughter as the scapegoat, but those definitely look even more amazing! Love the new polish! I keep checking IG to see if Rowan has made his arrival....and here you are still blogging! Come on, Rowan!!!! !